Which herbs should choose for your indoor garden? Here are my top 10 picks for herbs to grow indoors. 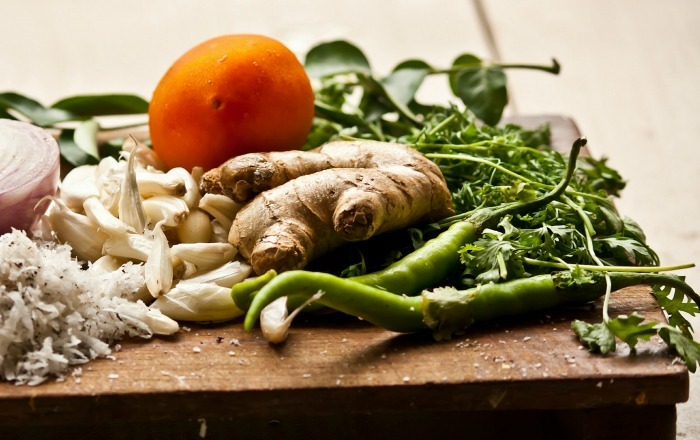 There is nothing quite like the taste of fresh herbs to really add a boost to your home made recipes. Many gardeners enjoy growing herbs outside during the summer months, but winter temperatures will kill them off for a while. Growing herbs indoors is the answer. If you enjoy the robust flavor that comes from adding fresh herbs to your recipes, having a pot or two of fresh herbs growing indoors is the way to go. I like to keep a few containers in the kitchen of my favorites so that they can be just snipped as I am cooking. Best Herbs to Grow Indoors. This post contains affiliate links for your gardening and cooking convenience. Pretty much all herbs will grow in doors if you have enough light but some are more suited because of their size, or for their use in cooking. 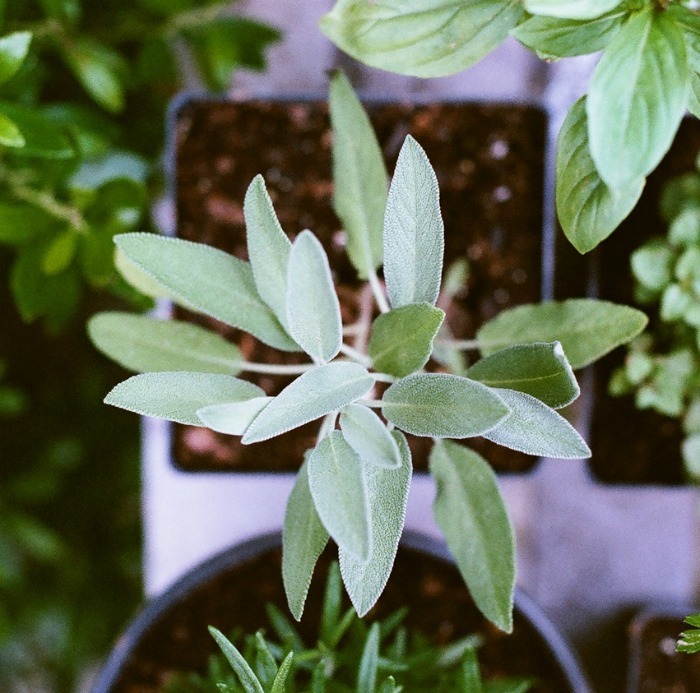 Growing herbs indoors requires just a few adjustments to the way you would do the same job outdoors since indoor plants have their own set of needs related to light and humidity. So make some room on your sunny windowsill, add a few of your fresh herbs and get that flavor going! Here are my favorite herbs to grow indoors along with some tips for getting the most out of each herb. Some of these require quite a lot of light and others seem to get by with less. 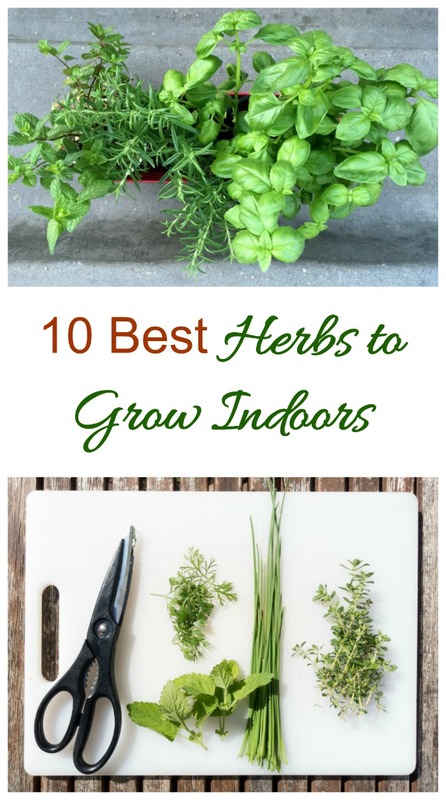 One or two of these herbs are sure to do well indoors for you. Identifying herbs can be a challenge since many of them look similar. Be sure to check out my handy herb identification infographic. Can we say basil pesto? This sauce is lovely on pasta, zoodles and even pizza. 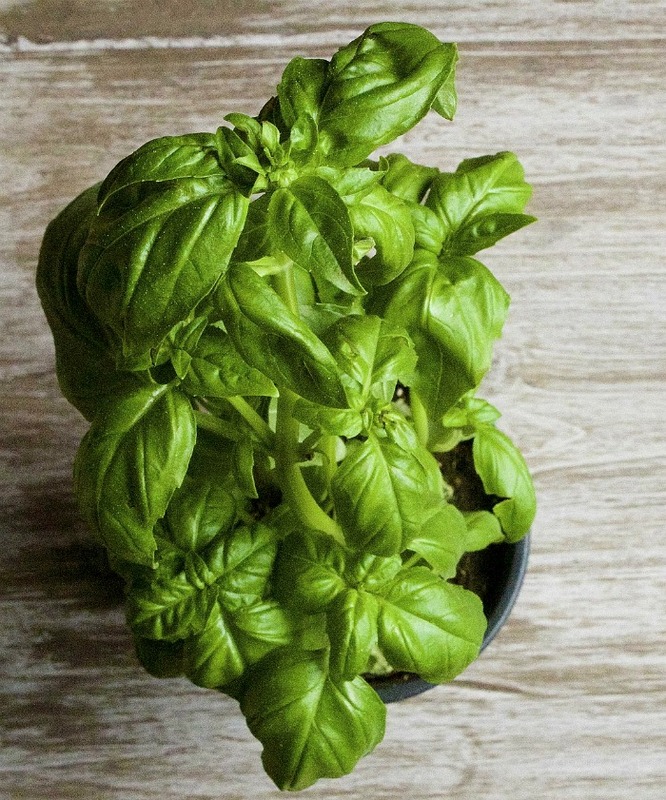 Basil is an annual herb which means that it dies off every year. Each fall, I make sure to take cuttings of the plants that I grow outside in my deck garden and bring them inside to root. This gives me plants for free and allows me to enjoy the use of basil all year long in recipes. Like most annuals, basil really likes the sunlight, so be sure to give it a sunny windowsill spot. Basil is also very easy to grow from seed. There is nothing quite like the taste of twice baked potatoes topped with sour cream and a big sprinkle of fresh chives. 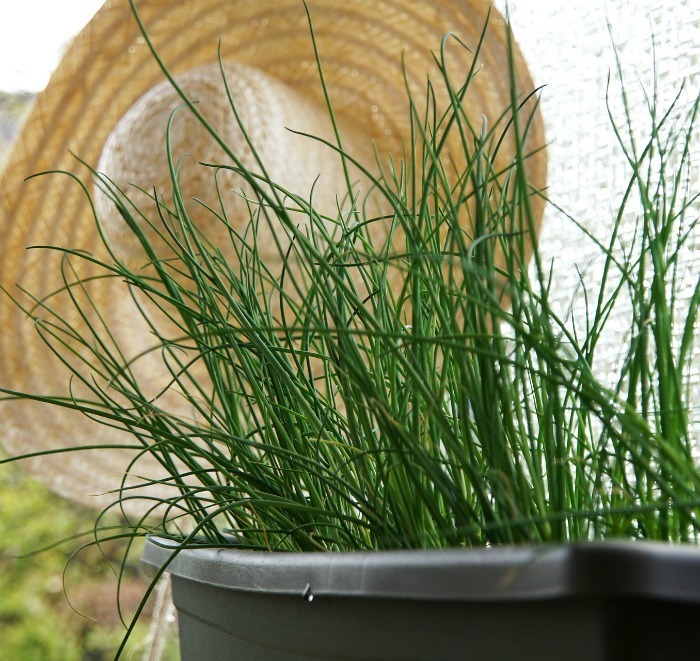 Growing Chives is a really easy herb project for indoors. They take a long time to grow from seeds, so established plants are the way to go. Give them a semi sunny spot with a few hour of direct sunlight each day. Keep the soil evenly moist and mist it occasionally to add extra humidity. I love the delicate licorice flavor of tarragon. It adds a lovely taste to chicken and I adore ahi tuna in a tarragon butter sauce. I like to have some on hand all the time. 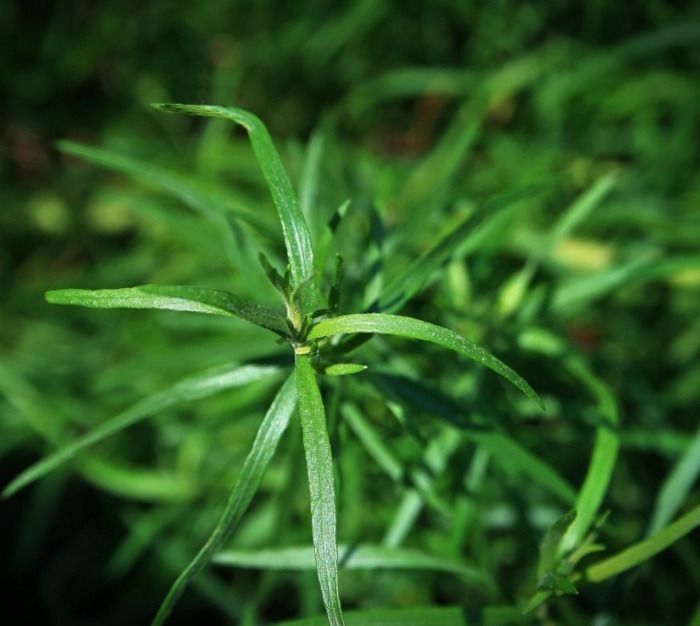 If you grow tarragon outside during the summer months, bring it indoors when the leaves start to die back. Give it a south facing window to make sure that it gets as much sunlight as possible and feed with a liquid fertilizer such as fish emulsion to give it extra nutrients. This biennial herb is used often as a garnish for dishes. Fortunately it is easy to grow. Italian cooking would not be the same without a dose of oregano in it. It flavors everything from cacciatore dishes to pizza and more, and adds an authentic Italian flavor to so many dishes. Oregano is an herb that needs plenty of sunlight so give it a really sunny spot like a south facing window. Oregano roots easily and grows into a large plant. 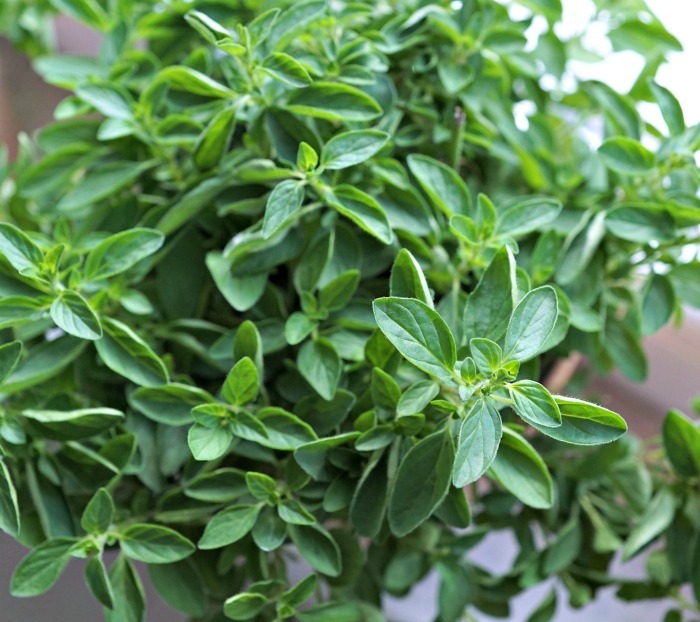 Take cuttings from your oregano plants grown outdoors and root them so that you have a plant inside for the winter. Greek Oregano is easier to grow than some other varieties. Oregano grows easily from seed. Mint can be invasive in the garden outdoors, so I grow it in pots all the time, both outdoors and inside. It roots easily from cuttings and is often used in condiments for Indian cooking, or as garnishes for desserts. One of my favorite fall main courses recipes is my roasted pork loin with mint sauce and plums. I also love to use mint in soothing teas to warm the scratchy winter throats. Mint is easy to grow and hard to kill. 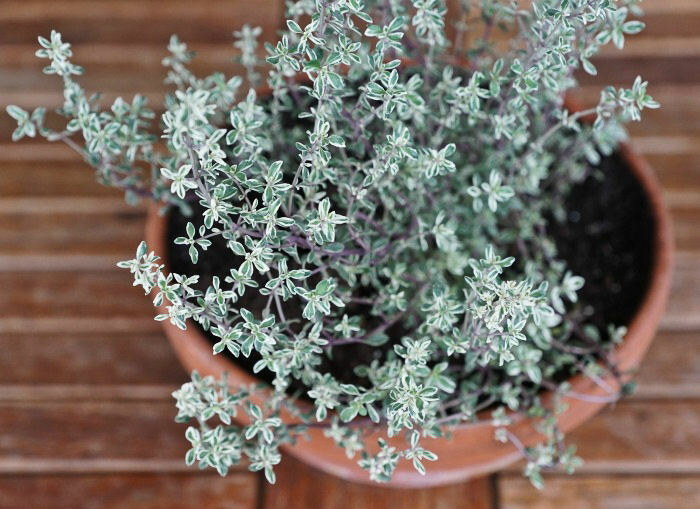 This trait makes it invasive outdoors, but one of the best herbs to grow indoors. 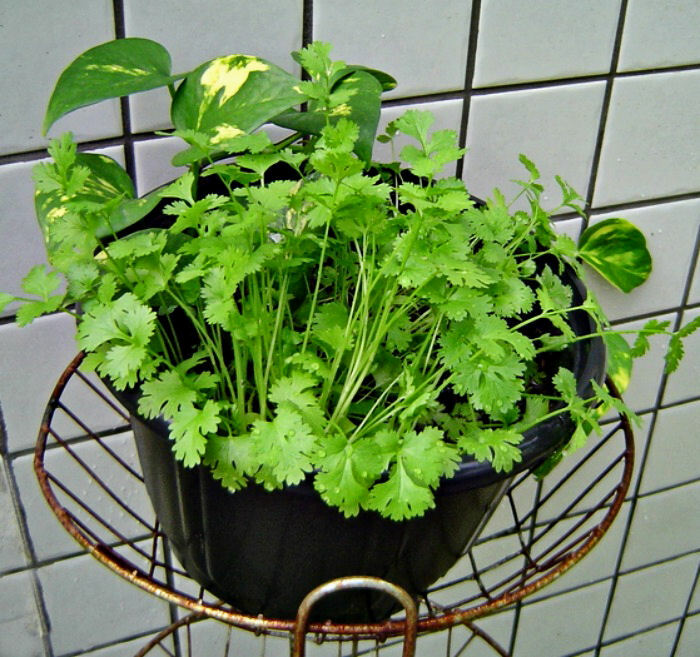 It will grow vigorously even with little sunlight. Pinch it back for a bushy plant, or you’ll have a really big plant on your hands. 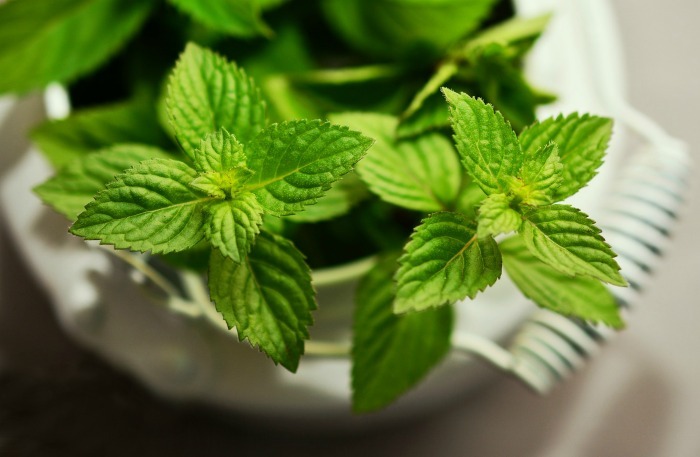 There are lots of different types of mint plants. All grow easily indoors. I love the pungent earthiness of fresh rosemary. It is is great tucked under the skin of a fresh chicken or used it to flavor my grilled rosemary and garlic pork chops. Rosemary grows for me outdoors year round, but it gets woody in the winter time, so I root tender tip cuttings for indoor rosemary plants. Outside, the plant is normally maintenance free, but once it gets quite woody pruning rosemary is necessary. Rosemary tends to like to be a bit on the dry side so be careful of over watering the plant. With Thanksgiving just around the corner having a pot or two of fresh sage on hand to make sure that my turkey gets lots of extra flavor. I also love to use it for beer brined pork chops with a sage rub for a hearty fall meal. Sage likes sunlight, so it should get a prime spot on your sunny windowsill. Be careful of getting water on the fuzzy leaves since they tend to rot if they get overly wet. Sage will tolerate the low humidity of most homes but needs a south facing window to grow well. This tiny herb is probably the herb that I use most often. I just strip the leaves from the thyme stems and add them whole to my recipe to give a lovely flavor to main courses and salads. Thyme will root from a tip of an existing plant and will also grow from seed. It prefers full sun but will also do okay in an east or west facing window indoors. This peppery herb adds a spicy touch to Mexican dishes like my margarita steaks with cilantro and lime recipe. I have trouble growing cilantro outside, since the heat is a problem in the summer, but my indoor cilantro plants grow quite easily. 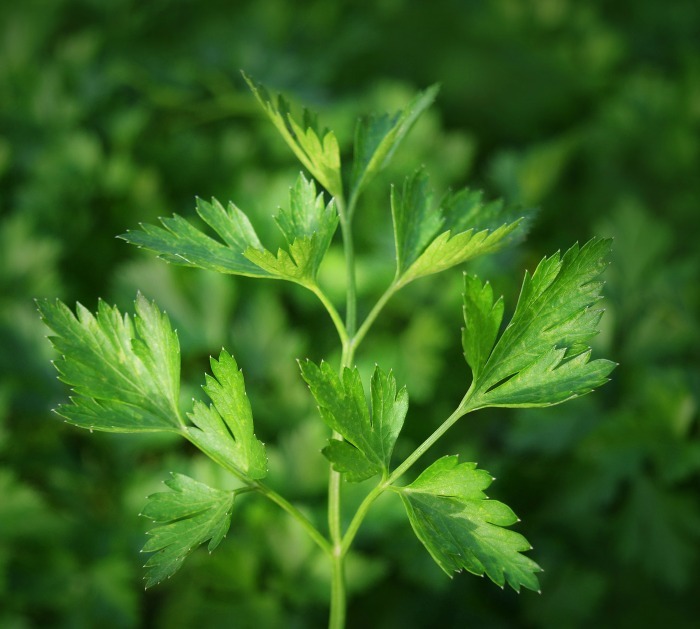 See my tips for growing cilantro. Cilantro likes a cooler temperature than most herbs. Place it in an east or west facing window for best results. It is an annual herb and likes well draining soil. Since it won’t be in the sunniest of your windows, it won’t need watering quite as often as herbs like basil, oregano and sage. For a more extensive list of perennial herbs, be sure to watch the video at the top of this page and see this post to help with identification of them. 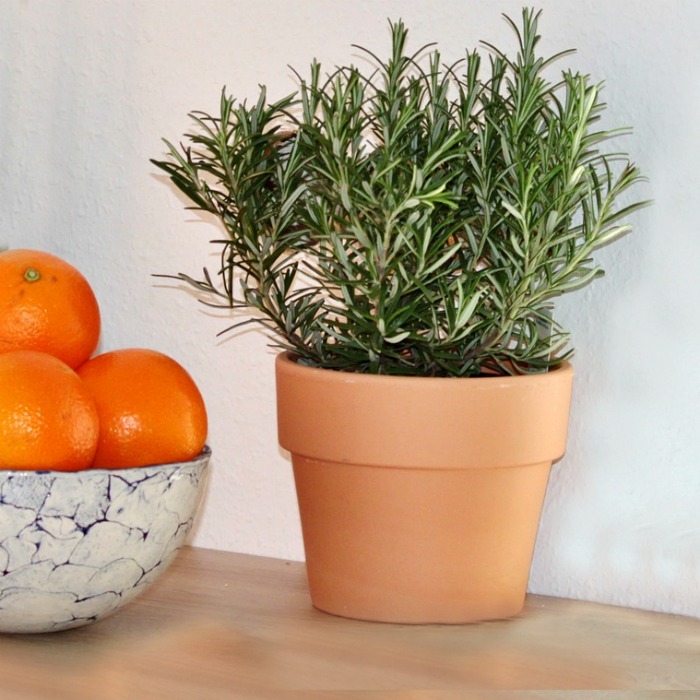 Is your favorite plant in my list of herbs to grow indoors? If not, what herb do you enjoy growing inside.